Prosperity Bancshares Inc’s (NYSE:PB) profitability and risk are largely affected by the underlying economic growth for the region it operates in US given it is a small-cap stock with a market capitalisation of US$4.8b. Since banks make money by reinvesting its customers’ deposits in the form of loans, strong economic growth will drive the level of savings deposits and demand for loans, directly impacting the cash flows of those banks. Post-GFC recovery brought about a new set of reforms, Basel III, which was created to improve regulation, supervision and risk management in the financial services industry. Basel III target banking regulations to improve the sector’s ability to absorb shocks resulting from economic stress which may expose financial institutions like Prosperity Bancshares to vulnerabilities. Since its financial standing can unexpectedly decline in the case of an adverse macro event such as political instability, it is important to understand how prudent the bank is at managing its risk levels. Strong management of leverage and liquidity could place the bank in a protected position at the face of macro headwinds. We can gauge Prosperity Bancshares’s risk-taking behaviour by analysing three metrics for leverage and liquidity which I will take you through now. Is PB’s Leverage Level Appropriate? Banks with low leverage are better positioned to weather adverse headwinds as they have less debt to pay off. A bank’s leverage may be thought of as the level of assets it owns compared to its own shareholders’ equity. Financial institutions are required to have a certain level of buffer to meet capital adequacy levels. Prosperity Bancshares’s leverage level of less than the suitable maximum level of 20x, at 5.66x, is considered to be very cautious and prudent. With assets 5.66 times equity, the banks has maintained a prudent level of its own fund relative to borrowed fund which places it in a strong position to pay back its debt in times of adverse events. If the bank needs to firm up its capital cushion, it has ample headroom to increase its debt level without deteriorating its financial position. What Is PB’s Level of Liquidity? Since loans are relatively illiquid, we should know how much of the bank’s total assets are comprised of these loans. Usually, they should not be higher than 70% of total assets, which is consistent with Prosperity Bancshares’s state given its much lower ratio of 45%. This ratio suggests that less than half of the bank’s total assets are made up of loans, but the bank’s strong liquidity management may be at the price of generating higher interest income. What is PB’s Liquidity Discrepancy? Banks operate by lending out its customers’ deposits as loans and charge a higher interest rate. These loans may be fixed term and often cannot be readily realized, yet customer deposits on the liability side must be paid on-demand and in short notice. The discrepancy between loan assets and deposit liabilities threatens the bank’s financial position. If an adverse event occurs, it may not be well-placed to repay its depositors immediately. 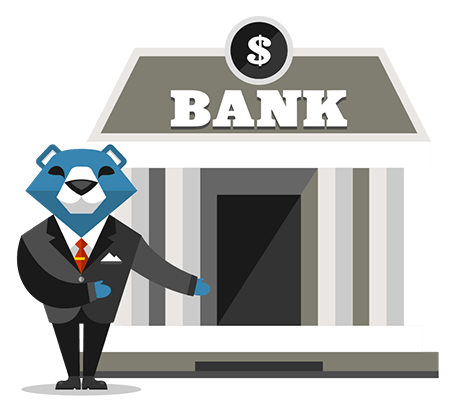 Compared to the appropriate industry loan to deposit level of 90%, Prosperity Bancshares’s ratio of over 61% is noticeably lower, which means the bank is lending out less than its total level of deposits and positions the bank cautiously in terms of liquidity as it has not disproportionately lent out its deposits and has retained an apt level of deposits. There is opportunity for the bank to increase its interest income by lending out more loans. Future Outlook: What are well-informed industry analysts predicting for PB’s future growth? Take a look at our free research report of analyst consensus for PB’s outlook. Valuation: What is PB worth today? Has the future growth potential already been factored into the price? The intrinsic value infographic in our free research report helps visualize whether PB is currently mispriced by the market. Have Insiders Been Selling RigNet Inc (NASDAQ:RNET) Shares?